Did you know that the colors around us impact our mood and behavior? Have you noticed yourself feeling cheerful and uplifted when you see daffodils? That’s because yellow is reported to increase mental clarity and cheerfulness. Blue is calming and grounding, it is frequently called the restful shade. There is a reason so many corporate brands use blue in their logos - it is a calming color that instills trust. Green is revitalizing and energizing, creating a perfect balance between feeling centered and excited. Lucky for you we have all the colors mentioned above in stock at Meadow, ready to boost your mood and productivity while making you feel fantastic in what you are wearing. This week we got new high-waisted flowy pants in two different shades of blue, as well as a yellow linen too! We are so in love with the bright, cheery shade that pairs so well with black, navy, pink, coral, you name it! 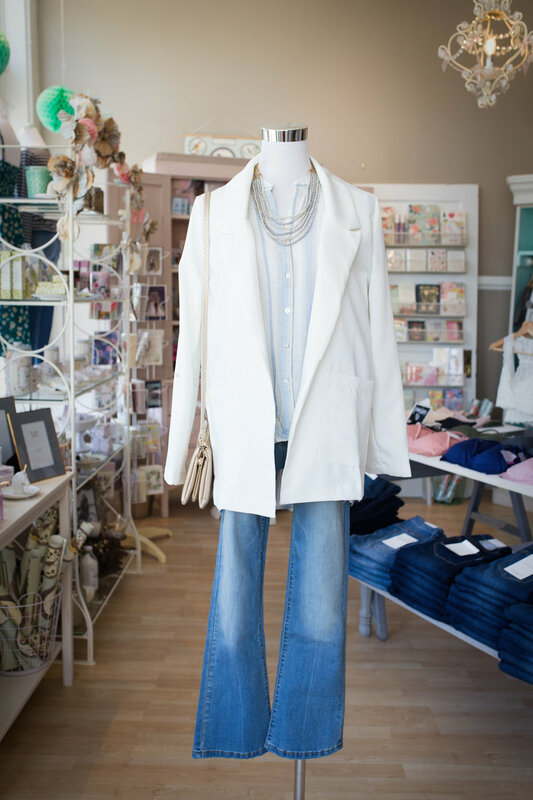 We also have an abundance of new jeans, a new black jumpsuit and beautiful spring tops galore. Featuring delicate flowers, soft pastels and even a watermelon/pineapple combo, there is something for everyone. Our new shoes will make your outfit pop, with colors like green and coral to put a pep in your step. Don’t forget our bright tank tops in minty green and magenta, as well as one with ruffles and flowers that is simply perfect for layering with our new stylish blazers that come in blush and white. Take a look at all these below, but better yet - stop by our boutique this weekend and try them on for yourself! We can’t wait to share our spring finds with you!